What is an appropriate gift for a First Holy Communion? A First Holy Communion is a special day in some Christian faiths, particularly within Catholicism. Members of the Catholic Church will have their children take their first communion when they are believed to be able to fully understand their faith and the meaning of the event. Taking communion is considered a child’s first public act of declaring his/her religion, thus it is typically followed by a party and gifts. Family and close friends celebrate this happy occasion with gifts and warm wishes. Appropriate gifts depend on your personal relationship to the child, their family, and your own familiarity with the Catholic faith. 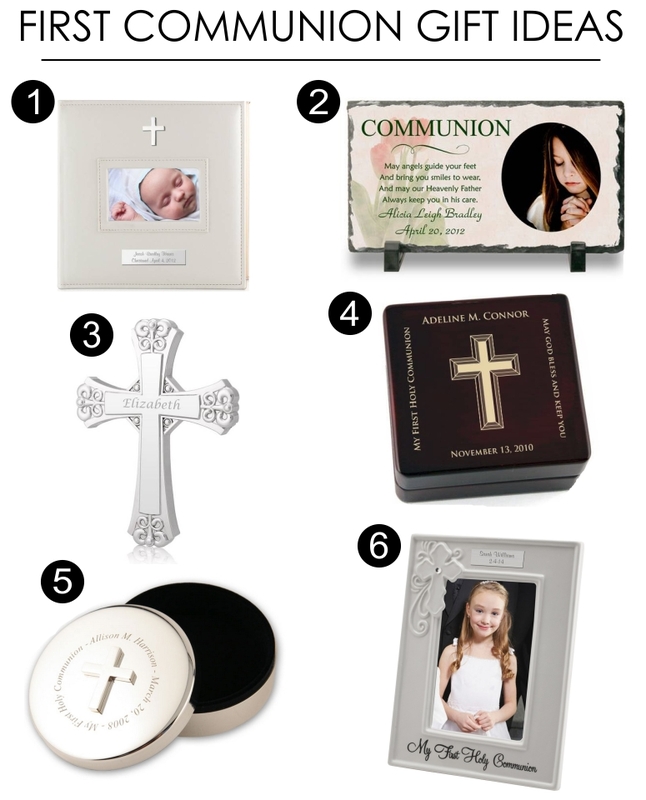 We at Memorable Gifts find that the best gifts to give children on their First Communion are religious related items. Items with religious symbols or even things like a Bible, rosary, or prayer book can help the child continue their Catholic foundation at home. Jewelry is also a traditional gift for girls however; ask the parents ahead of time if you are thinking about getting their son a small cross necklace or ring. Photo albums and frames are another great gift and help to keep memories alive for the child and parents. Whatever your gift may be, remember that this day is important to the child, the family, and the Catholic faith and should be respected and celebrated. 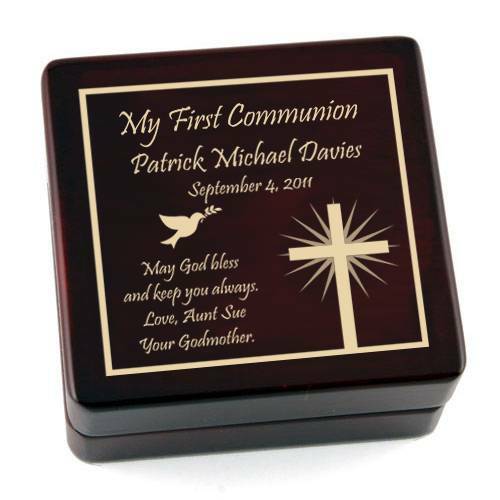 Memorable Gifts has a great selection of First Communion gifts that are sure to be cherished and adored. Our top 6 gifts are pictured below.